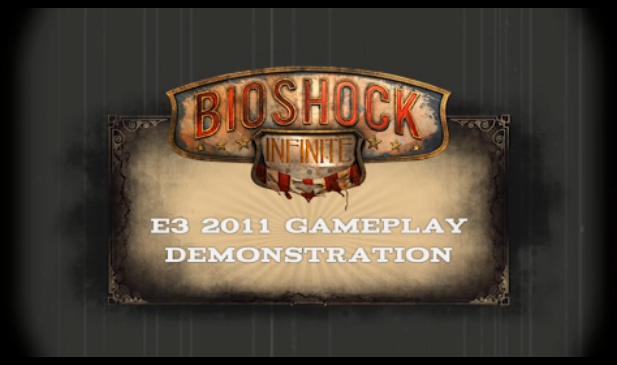 GAMERS: ‘BioShock Infinite’ 15 Minute Demo is Here! Irrational Games has unveiled a huge, 15-minute demo for BioShock Infinite. This stellar game will be here for the PlayStation 3, Xbox 360 and PC in 2012. We will keep you posted when we get more news and an actual release date. Set in 1912, BioShock Infinite introduces an entirely new narrative and gameplay experience that lifts players out of the familiar confines of Rapture and rockets them to Columbia, an immense city in the sky. Former Pinkerton agent Booker DeWitt has been sent to rescue Elizabeth, a young woman imprisoned in Columbia since childhood. Booker develops a relationship with Elizabeth, augmenting his abilities with hers so the pair may escape from a city that is literally falling from the sky. DeWitt must learn to fight foes in high-speed Sky-Line battles, engage in combat both indoors and amongst the clouds, and harness the power of dozens of new weapons and abilities.